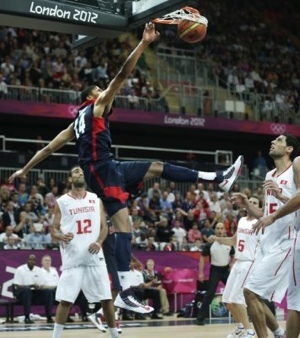 Team USA move to 2-0 in the 2012 Men’s Olympic Basketball Tournament after they dismantled Tunisia 110-63. After a sluggish start, Team USA’s bench came in and broke things open. 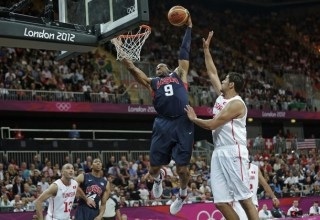 Carmelo Anthony and Kevin Love led the Americans with 16 points each. Kevin Durant finished with 13 points, while Anthony Davis pitched in with 12 second half points. 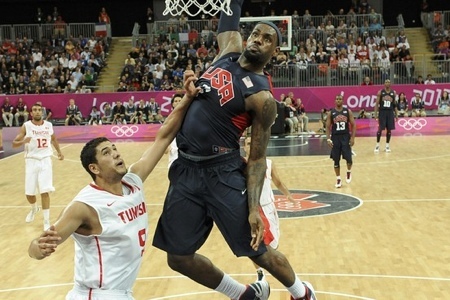 Team USA will take on Nigeria in group play Thursday. 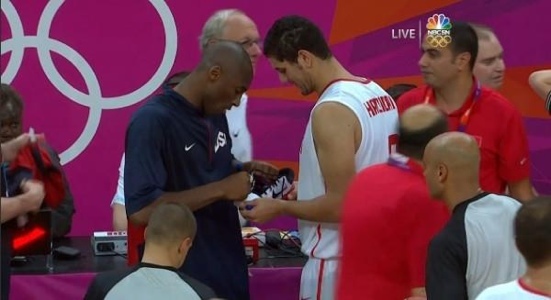 In a game that features many breath-taking dunks by Team USA, perhaps the most memorable moment came after the game when a Tunisian player had Kobe Bryant sign his sneakers. What is even funnier is that the sneakers were Kobe’s Nike signature sneaker!